Building resilience through connection by creating opportunities for children, families and teachers to learn within nature. Educated by Nature provides learning experiences in a variety of natural spaces across Perth, Western Australia, to facilitate connection to self, nature and community. These connections develop children’s resilience, confidence, physical skills, curious minds and playful spirits; equipping them for a healthy and happy life. Programs are available for families with toddlers and primary aged children, schools, childcare providers, Out of School Hours Care programs, local councils and other organisations. Educated by Nature is a team of passionate Nature Educators: we are teachers, mentors and playworkers who assist children, parents and teachers develop connections and learn within nature. 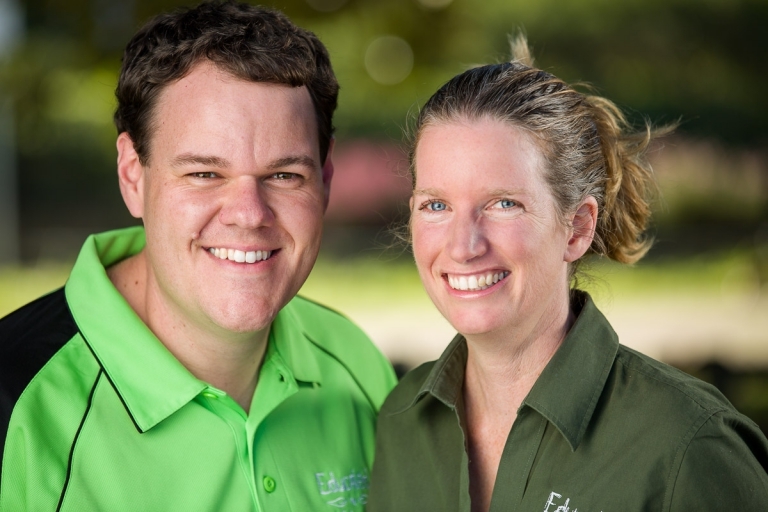 Daniel Burton and Trudi Bennett lead the team. They are Nature Connection Mentors and qualified teachers specialising in outdoor classrooms. Their knowledge base has formed over many years through additional professional development, study tours and participation and presentation at various conferences within Australia and internationally. Emphasis is placed on engagement with current research, networks and mentoring relationships. At Educated by Nature, staff participate fully in play by modelling sensory risk taking, wondering, adventuring, building and encouraging nature awareness. Programs combine freedom for children to live by their instinctive behaviour, with empathy and understanding for nature and each other. We believe this combination assists children to grow resilience through nature connection. See our Principles for Learning within Nature and Art of Mentoring pages for more information. Through our programs, Educated by Nature aims to increase the mental, emotional and physical health of children and in doing so, foster stewardship and a deep love for the natural environment. 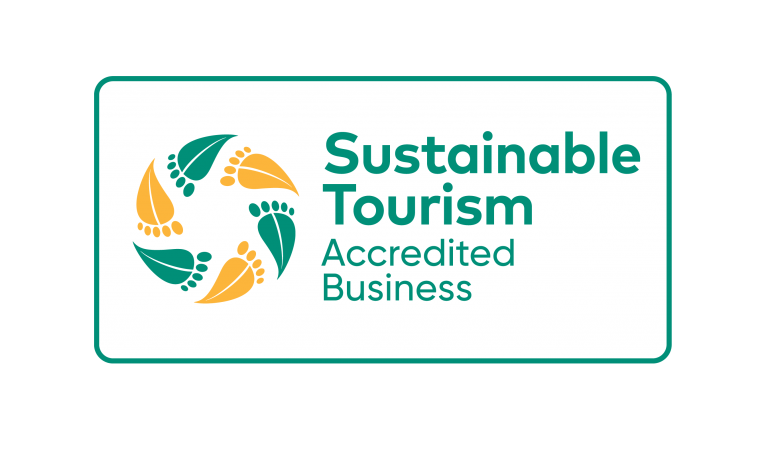 Educated by Nature is proud to be accredited as a quality program provider by the Tourism Council Western Australia. Bookings are open for the following programs. We would love to have you join us for new adventures and exciting exploration. Our programs usually offer a variety of session dates, times and locations. To see more details, simply click on the program that you wish to attend which will take you to a bookings page. Alternatively, follow the links in the navigation menu at the top of this page for more information about the activities and age range for each program. Educated by Nature offer a large variety of nature-based programs for families, schools, and the wider community. Programs for families are grouped largely by age segments to allow activities to be developmentally appropriate and challenging for participants. The programs for families also include an after-school club based entirely outdoors, focused on using real tools and hands-on tinkering, but also incorporating wilderness awareness games. School programs linked below are split into two main areas; incursions and professional learning. Educated by Nature's incursions are tailored to be suitable for early years child care, through to upper primary aged participants. Professional learning and development options include a variety of different workshops. Both the nature-based incursions and the professional learning workshops are directly linked to Western Australian and National curriculum. The nature-based community programs offered are suitable to form a key (or small) part of your community event. Educated by Nature are regular contributors at local fairs and fetes, as well as council events. Again, activities are offered/tailored to engage different age groups and audiences. Camps are the newest range of programs being developed by Educated by Nature. School camps are currently run in conjunction with Boshack Outback. If you are not able to find a program suited to your specific needs, please contact us to discuss your requirements. "To the people you serve, it may seem like nothing but running through woods, playing games, and listening to stories. An underlying intention they never realise lies beneath this surface evidence. By subtly and invisibly using Child Passions to get people to practice Core Routines and so read the Book of Nature, you engage them in learning without them ever knowing it. You are running an ‘Invisible School'."